Composite laminates reinforced by woven basalt fibers and based on different polymer matrices were prepared and mechanically characterized, in static and dynamic conditions, to compare the results and evaluate the influence of the matrix type. In this regard, a thermoplastic resin, polyamide 6 (PA6), and two thermosetting matrices, vinyl ester and epoxy grades, commonly used for high-performance applications, were considered. Indentation depth measurements carried out by a confocal microscope and ultrasound analyses performed on specimens subjected to falling dart tests at levels of impact energies lower than the perforation one permitted to evaluate the extent of plastic deformations and of subjected delaminations, respectively. These data have provided useful information about the involved damage mechanisms and highlighted interesting perspective of use for the eco-friendly thermoplastic sample. 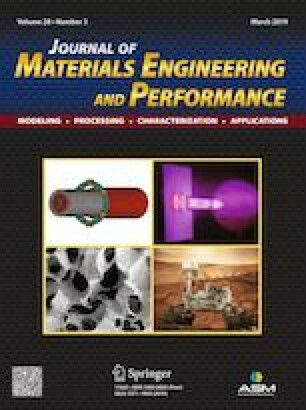 This article is an invited submission to JMEP selected from presentations at the International Symposium on Dynamic Response and Failure of Composite Materials (Draf2018) held June 12–15, 2018, on the Island of Ischia, Italy, and has been expanded from the original presentation. The authors gratefully acknowledge the ONR Solid Mechanics Program, in the person of Dr. Yapa D.S. Rajapakse, Program Manager, for the financial support provided to this research. The authors especially want to thank Eng Fabio Scherillo for the interesting discussion and for helping the authors in micrograph observations.